Twin Cities Gay Men’s Chorus Presents Divas! To help celebrate Pride Month and the close of its season, Twin Cities Gay Men’s Chorus (TCGMC) is presenting Divas! In Praise of Gay Men’s Female Icons. That means it’s time to break out the feather boas and sequins for a fabulous night of music and fanboydom. The glamorous gals who became female icons in the gay community include Ethel Merman (“No Business Like Show Business”), Judy Garland (“The Trolley Song”), Carol Channing and Marilyn Monroe (“Diamonds are a Girl’s Best Friend”), Madonna (“Material Girl” and “Vogue”), and Cher (“Believe”). TCGMC will and must celebrate them all! The concerts take place June 26 and 27, 8 PM, at Ted Mann Concert Hall, University of Minnesota. To get tickets before they all are snatched up, visit <www.tcgmc.org>. Sibley Bike Depot, a community not-for-profit bike shop, is a volunteer-run organization whose philosophy is, according to John Carlson, a committed board member, “Change the model, change the outcome.” In the process of shifting the organization to be more community-based, the goal is to make it more participatory, open, and democratic—more accountable and accessible. Based on the doing-it-yourself idea, Sibley has expanded its hours so people can come in to work on their bikes, use tools, and even ask mechanics on hand for help—all free of charge. The shop will have Women and Trans Night every Tuesday, so people who traditionally are marginalized by the bike world can feel totally welcomed. For more information, visit <www.sibleybikedepot.org>. <garrett.boardman@rainbowhealth.org>, or call (877) 499-7744. 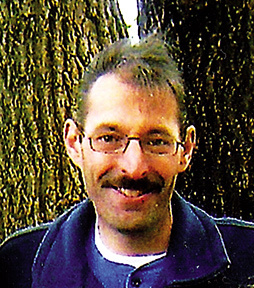 Tom Conlow, 43, died June 5 at Hennepin County Medical Center in Minneapolis. As Cherizee Germain, Conlow was a popular performer at the Old Rumours/Trikkx in St. Paul. He also participated in fund-raising for the Imperial Court of Minnesota. On July 12, 6-10 PM, at Innuendo/Rumours, a fund-raiser celebrating Conlow/Germain’s life will take place, with all proceeds going to his family to help with costs related to his final illness. Preceded in death by his life partner, Michael Spivak, Conlow is survived by his children, Heather, Scott, and Ashley; mother, Beverly Conlow; father, Harold Conlow; sisters, Vicky Diamond, Chris (Bruce) Lind, Pam (Mark Wagner) Conlow; brothers, Rick (Kelli), Dennis (Cheryl); 15 nieces and nephews; and many friends. While an ambitious few easily and flawlessly can revamp their indoor living spaces, the rest of us could use a little help from a friend.